A small town known as Jodhpur in Rajasthan has produced a finest sportswomen who is the legendary women cricketer to the world, Mithali Raj who is the iconic role model for all the future generation of women’s sports. In an Asian country like India, where cricket is not just an entertaining game but also celebrated as a religion and people attach emotionally with their all-time favourite cricket celebrities, women’s cricket remained a bit low in fame when compared to male cricket. However, that was history; it is not the case anymore. It does not happen overnight as well to change the people’s perception of women’s cricket. It is only through the continuous hard work and effort put by the women’s players have gained them popularity and got international recognition and credits. Mithali’s tremendous success in cricket world was only possible by having strong family support, where Mithali’s mom is also a former Indian cricketer, Leela Raj, and her father is Dorai Raj worked at Indian Air Force. Owing to the tremendous contribution of Mithali towards Women’s Indian Cricket, the Indian government acknowledged Mithali with the country’s several prestigious awards. She is one of the young players in the below 35 years old category to receive those awards. As of 2018, Mithali’s has received Arjuna Award in the year 2003 and Padma Sri Award, one of India’s fourth highest civilian award, Mithali was honored in the year 2015 for her overall dedication and talent in the Cricket field. Being a right-handed batsman and right-arm leg break bowler, Mithali lead the women’s cricket team in the ICC One Day International World Cup in the year and in 2017 as well. Mithali is the only women cricketer who holds a spectacular run record of 6000 runs mark in the ODIs till date. Mithali’s International journey in the cricket world began at a test cricket match against England in 2002, and her first International one-day cricket tournament was against Ireland in the year 1999 held at Milton Keynes. Like the male T20 cricket tournament which saw a massive response from the cricket fans from all across the world, BCCI has also come up with an idea of Women’ s T20 series, which later gained popularity among the fans. T20 for women was first debuted in the year 2006 and Mithali took charge of the event and should say she stole the show with her smart moves and tactful play. 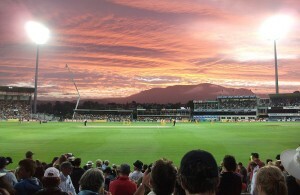 In the first T20 match, Mithali played against England at Derby. Mithali scored a second highest individual score of 91 runs out of 104 balls in a World Cup match in 2005 against New Zealand followed by Harmanpreet Kaur who scored a century in World Cup match in 2013 against England. Times of India in an article published in 2017 has quoted that Indian Women Cricket Captain Mithali Raj featured in “BBC’s 100 women’s list” as one of the most influential women in India. This shows her reach to the international fans as well. In addition, a feature film based on Mithali’s biopic is in the cards for the year 2019, by Viacom 18 Motion Pictures who acquired the rights to make a movie about her endeavor in the cricket world. She said in an interview that hope that this film inspires young girls to take up sports as a mainstream career option in their life and help to develop the country’s sports department. ESPN cricinfo has claimed that Mithali has got the most One Day International runs of 6028 @ 51.52. In 2017, Mithali was the only player to score nine times half century and joint-most 50-plus scores by any player in the history of women’s ODI.s. Mithali also gave a terrific run record of five centuries in which she was not out in all her innings in noteworthy as well. This hard working and able right batswomen made her fan following grow double the rate by each match seamlessly. Mithali Raj has a great partnership with her fellow cricketer Jhulan Goswami, in which the duo top the battling and bowling records at a higher rate in the women’s One Day International cricket tournaments. As of September 2018, here is a quick view of Mithali’s career chart and these figures have solid proof of her legendary status in the women’s cricket world. Mithali has played so far in 10 matches of test crickets, 194 One Day International crickets, and 74 T20 tournaments. Mithali has a good run score record of 663 in Tests cricket, 6373 in the One Day Internationals and 2015 in T20 crickets. Her top score in One Day International remains to be 125, in test cricket, it is 214, and with T20 tournaments, she has scored 97 as the fast score so far. Mithali is the only among the women cricket team in India to be as a Captain of the Indian Women Cricket team twice which was in the year 2005 and later on in the year 2017. Thus, in the 2018 “Women’s Twenty20 Asia Cup”, Mithali is the only women cricketer to reach 2000 runs in the T20’s tournaments so far and set the milestone as the first women cricketer to score 2000 in those matches. 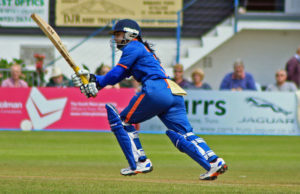 Mithali holds many first places in terms of scoring and setting record runs like for instance she is the first ever women cricket player to have scored seven consecutive 50s in the One Day International games. 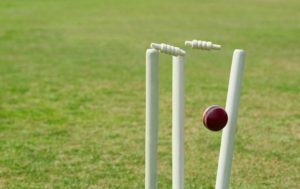 Vegas Slots also provide you with a lot of entertainment options, in which you can choose to play your favourite sporting theme slot games like cricket. Check them out and have fun.